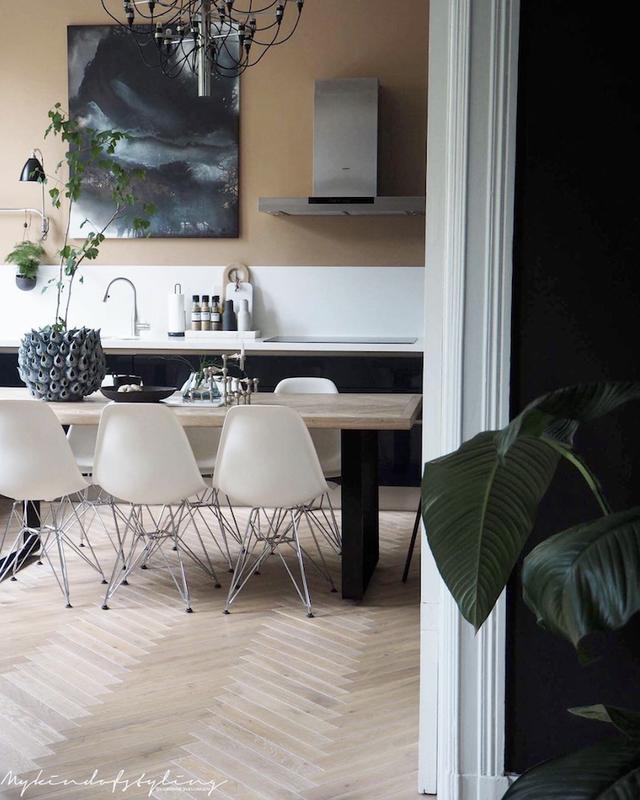 my scandinavian home: A Norwegian Home Gets The Dark Treatment, And It's Beautiful! 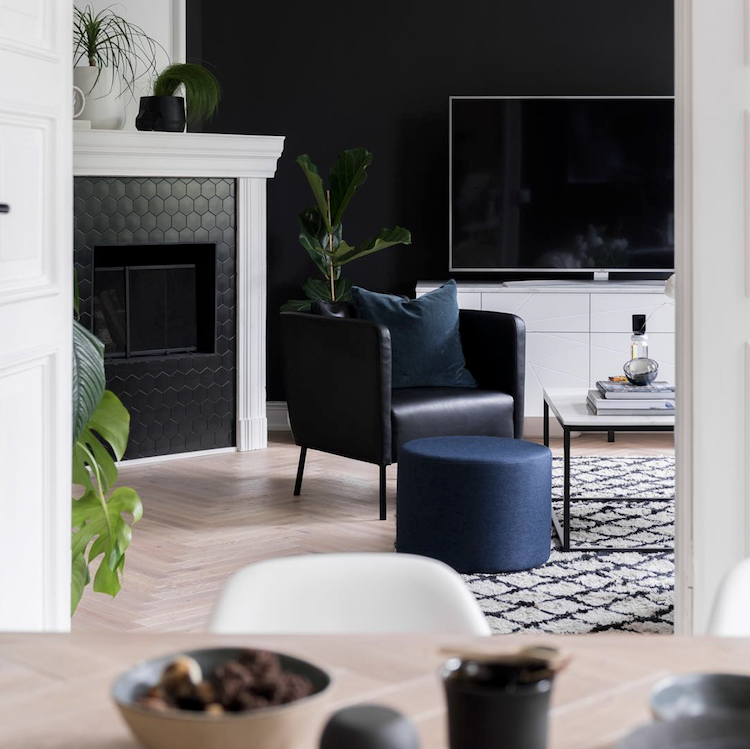 People often refer to Scandinavian interior design as a 'trend' - but to me (and I'm pretty sure all Scandinavians) it's anything but. 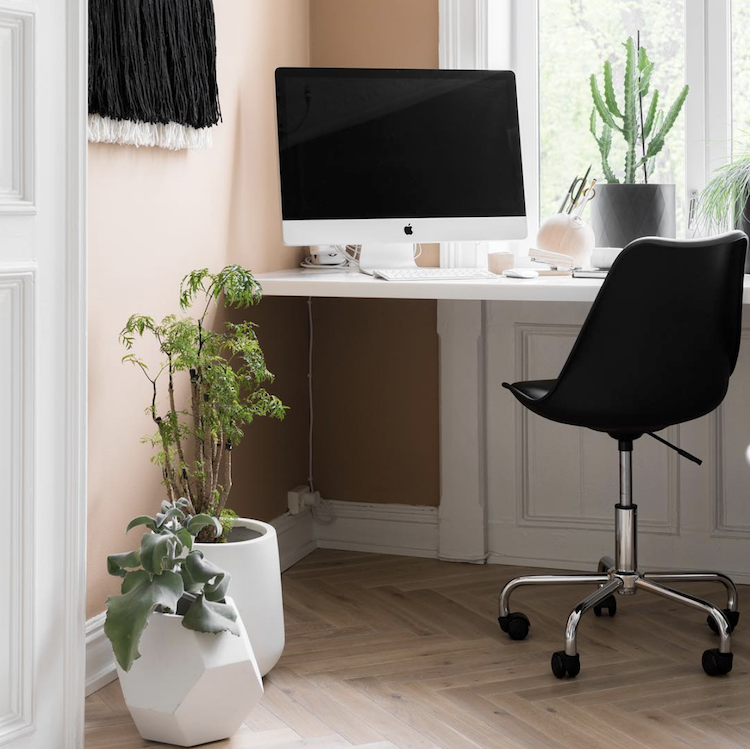 The beauty of Scandinavian design is that's is timeless and surprisingly versatile - the simplicity means it blends with different styles, eras and architectural elements. And as this home shows, it definitely doesn't need to be all about the white / light look! 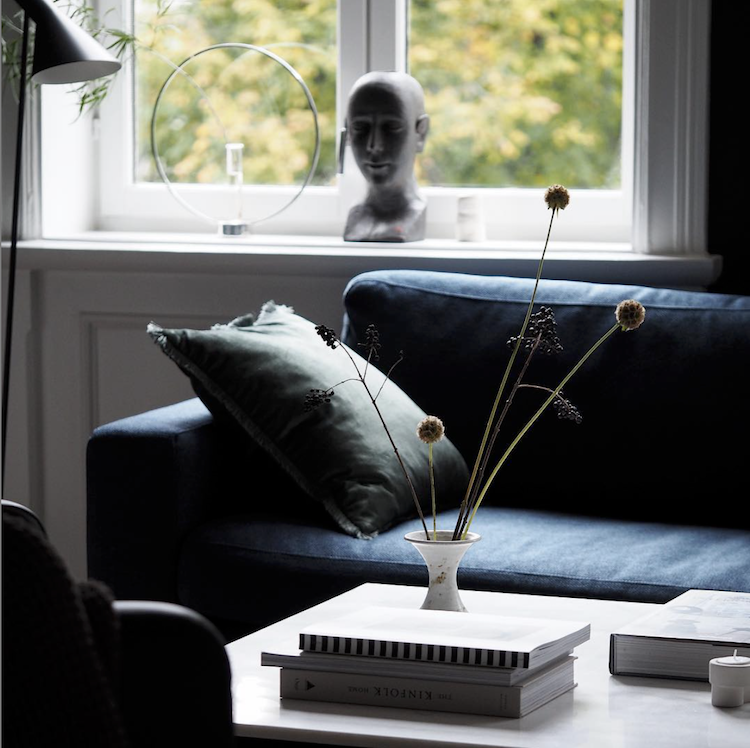 Interior stylist and visual storyteller Catrine Svellingen has transformed her home in Oslo, Norway into a luxurious yet calm sanctuary using a delicious deep blue, rich greens and black and peach accents. 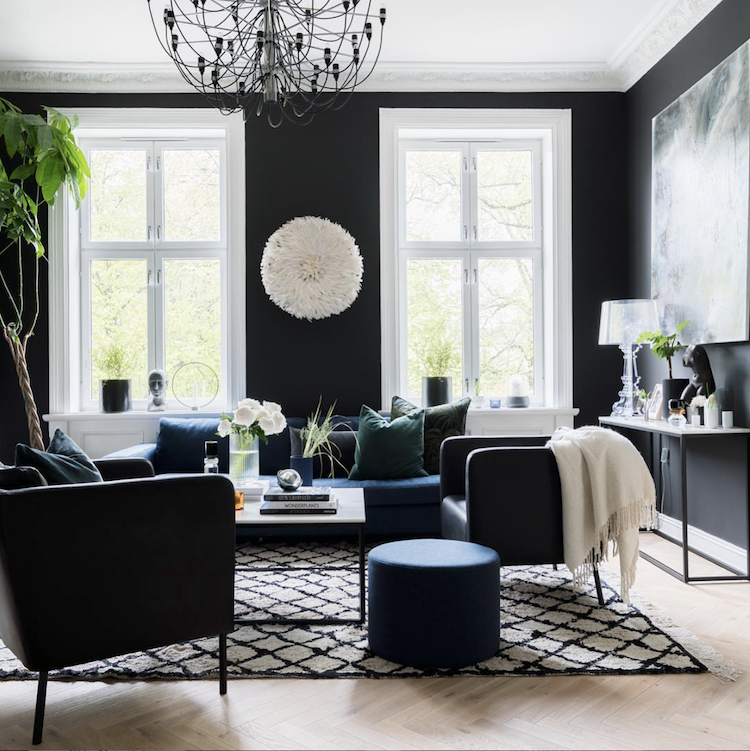 The furniture is a mix of elegant contemporary classics, new Nordic design and the occasional IKEA piece for a smart yet homely feel. Are you ready to take a tour? White Juju hat* (on wall), Kong Gloria candle / vase*, order a made to measure Beni rug like this here*, Flos 2097 chandelier. Oh and what's that we see peeping into the left of the first image? Shock, horror - a TV! Ha ha! 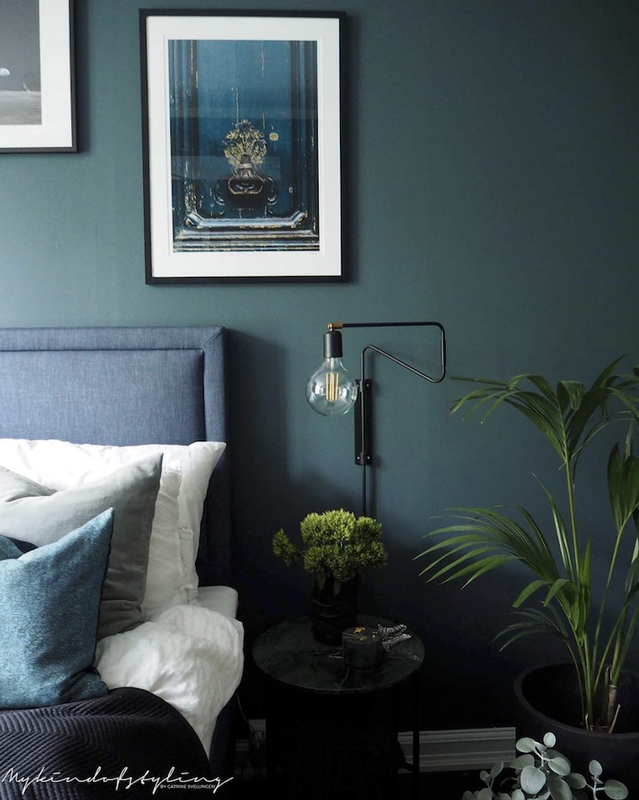 It blends in so well it's barely noticeable too - another reason to go for a darker wall colour! I love the colour combinations (I'm just trying to find out the exact shade she's used in the living room and will hopefully be able to stop by and update the post shortly. 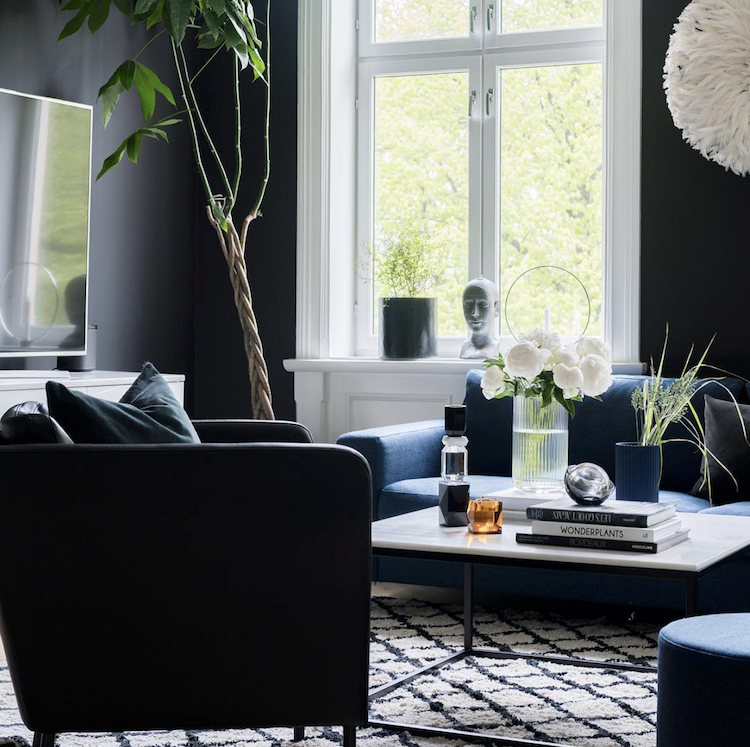 Is there anything you love about this Oslo home? 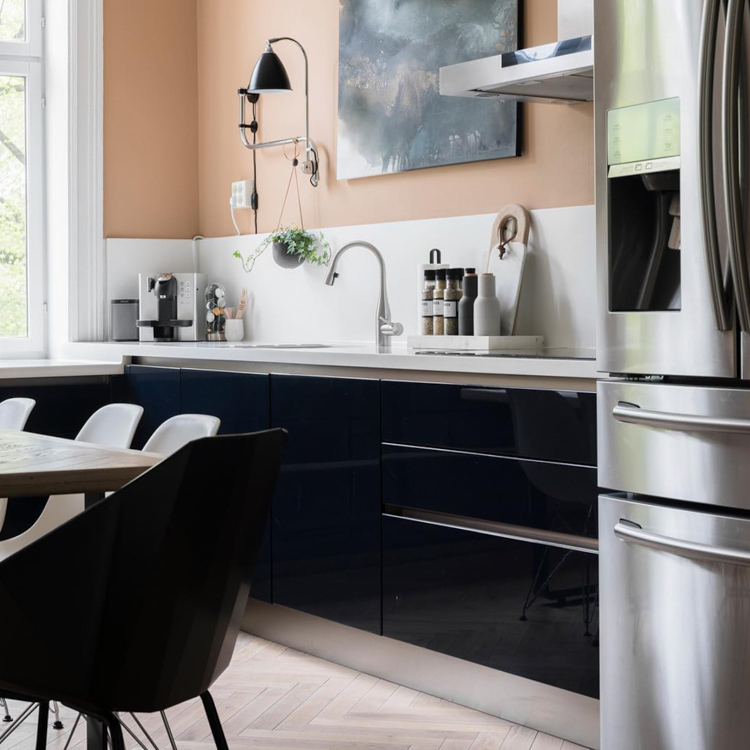 You can see more pictures of Catrine's beautiful home and follow her latest styling projects here. I'm really excited to be heading to Bergen next month for a work trip - but thinking about staying for the weekend. Any tips are so welcome! Are you up to anything fun this weekend? Whatever you do, I hope you have a fabulous (and relaxing) couple of days! Absolutely gorgeous. Love the colours and how the home feels in the pictures. There is so much natural light that the home is not dark at all. stunning. As for Bergen, we spent days just walking around town and up the hill, through a maze of narrow streets with gorgeous white, heritage homes. just lovely. I can't tell you much more than that :-). have fun. I agree - the large windows are ideal as they flood the space with beautiful natural daylight. Thank you so much for your tips for Bergen, it sounds wonderful! Beautiful home. The darker walls give it such a cozy feeling, at least in the pictures. And because of the tall windows, and the white around the windows, and light floors it's not gloomy at all. Just cozy and clean feeling. 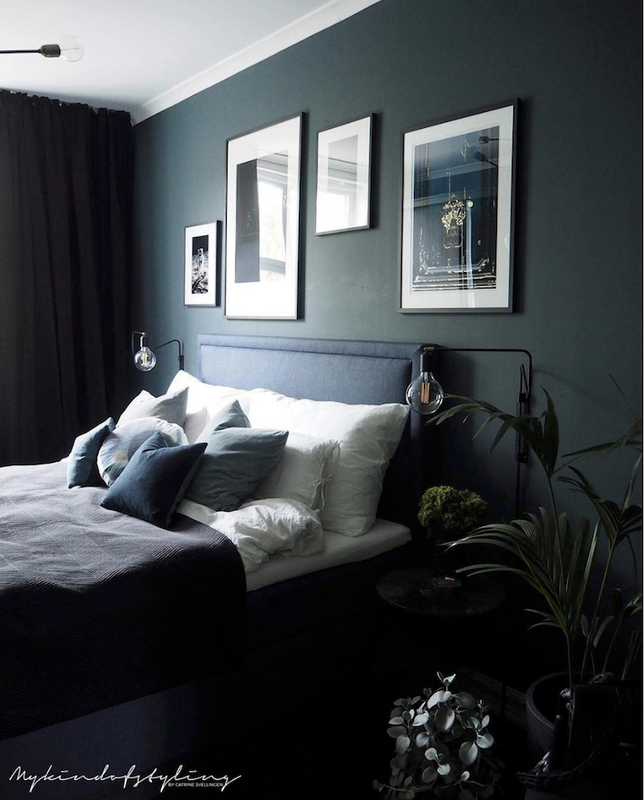 Beautiful I love the dark colours they work so well in the space! I love them too - so beautiful - and yes, they really are perfect for this space.